Want to slim down without feeling hungry? Have more energy? Look and feel younger? You can design a customised program, with weight-loss, nutritional and personal-care products, to help create a whole new you! Click HERE to read our Weightloss Success Stories. 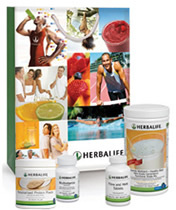 Herbalife's Quickstart Wellness Programme - offers you 4 core products for effective weight management. 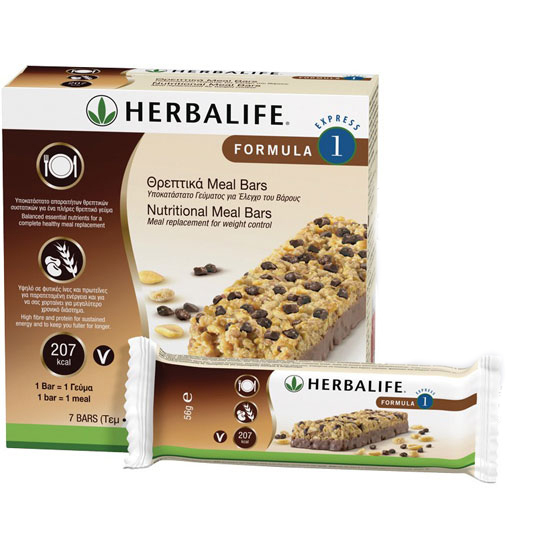 Formula 1 - contains less than 220 calories per serving, contains 17.5 grams of protein and is packed with vitamins and minerals. 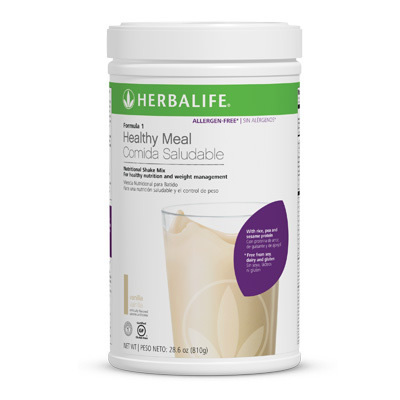 Available in 5 flavours, a delicious and nutritious meal in a shake. (550g enough for 21 meals). Fast food made healthy for you & very easy to mix! Formula 2 - Scientifically formulated multivitamin ensures you receive the essential nutrients daily, and in the right balance. Fibre & Herb - Cleanses and detoxifies the body to restore its ability to absorb the nutrition from the food you do eat. SHED THOSE UNWANTED Kgs and cm's FOR GOOD! Formulated with an excellent balance of macro and micro nutrients, Formula 1 has been scientifically proven to be an effective way to control and manage weight when combined with a healthy active lifestyle. 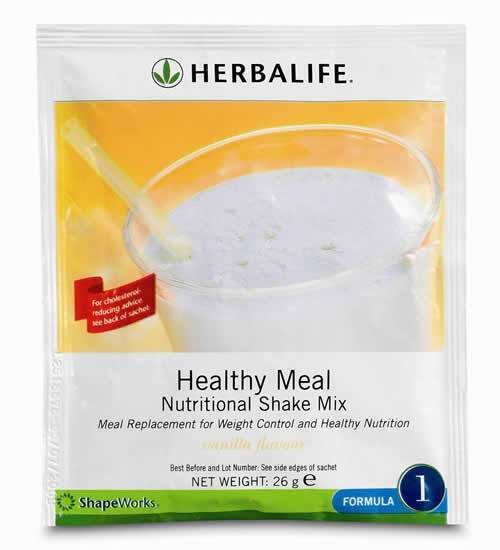 Contains less than 220 calories per shake and a balanced combination of soy protein and plant based carbohydrates that can help you feel fuller for longer and sustain your energy levels as part of a weight management or healthy nutrition programme. Available in five delicious flavours. The perfect nutritional solution for those with common food allergies - because it's free from soy, dairy and gluten. Eating healthy doesn't mean depriving yourself! · Satisfying your hunger and your taste buds for easier, healthier weight loss. Provides 9 grams of protein from rice, pea, and sesame. 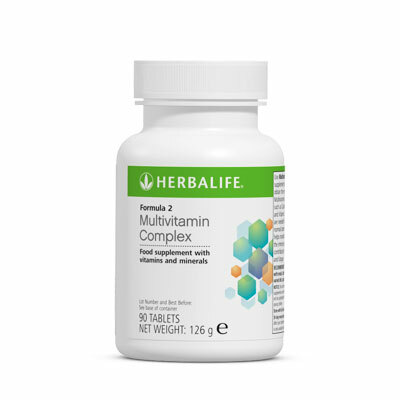 Packed with 20 vitamins and minerals as well as herbs and fibre. Supplies the antioxidant power of over 2 servings of fruits and vegetables. Includes super food plant botanicals derived from celery, acerola cherry, pomegranate and blueberry. To kickstart the new you, this ultra-convenient sachet, is ideal for those on the go. Slip an individual sachet, or two, into a pocket or bag so you have no excuse not to continue with your chosen daily health regime. Simple to prepare, each sachet delivers the correct serving and the same nutritious benefits found in a Formula 1 canister, so you get to manage your health and wellbeing choices wherever you are, whenever you want. Mix the contents of each sachet with 250ml of semi-skimmed milk to create a healthy shake. To really treat your taste buds try adding your favourite fruit or combining your favourite flavours. All the nutrients needed with 207kcal. 2 flavours: Chocolate chip or Red Berries & Yoghurt. High in Calcium and vitamin D for normal bone structure, Zinc to support a healthy immune system, B vitamins to support energy metabolism and Antioxidant vitamins C and E for protection of cells against free radical damage. Your body needs the right balance of vitamins and minerals to function properly. Research suggests the best way to ensure that we achieve this, is to eat a balanced and varied diet including at least 5 portions of fruit and vegetables every day. For those who might not be achieving optimum nutrition, a multivitamin supplement can help. 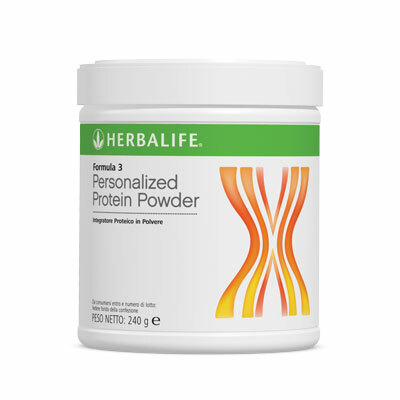 Formula 3 Personalised Protein Powder is a rich source of soy and whey protein which provides energy, keeps you feeling fuller for longer to help you reach your weight management goals, help to build lean muscle mass when used as part of a fitness programme, aids muscle recovery after exercise and contributes to better bone health. Unhealthy snacking in-between meals is often what ruins weight management programmes. Foods rich in protein can help reduce this temptation because protein promotes a feeling of fullness. Diets high in protein are also essential for those active in sport and fitness as protein builds lean muscle mass and aids muscle recovery, minimising post-exercise muscle fatigue. When on a weight management programme, you may not be consuming enough fibre-rich foods. 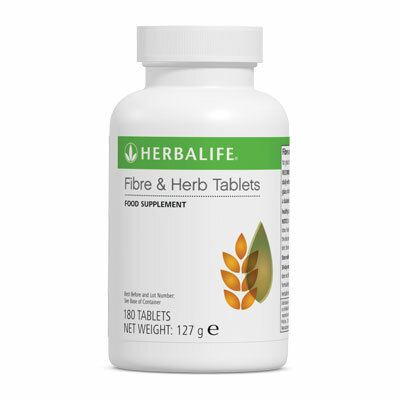 Fibre and Herb is specially designed to aid safe and effective weight control, by providing an increased amount of dietary fibre, which reduces the amount of time food stays in the body and so assists in the removal of toxins and wastes. 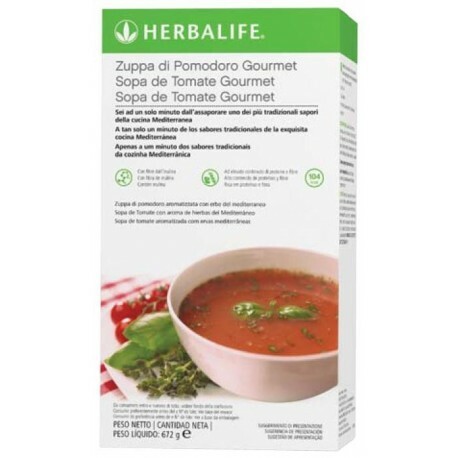 Gourmet Tomato Soup - 1 Box contains 21 servings. A hot, savoury and nutritious healthy snack that's easy to make. It combines the latest in nutritional science with prebiotic inulin fibre and naturally occuring tomato lycopene. Popular flavours basil and oregano offer you a taste of the Mediterranean. Only 104 calories to help you manage your caloric intake. Suitable for vegetarians. LipoBond contains several forms of dietary fibre which when added to dietary fibre intake from other sources helps your body get the fibre it needs. It can assist your digestion by helping the body in its natural elimination of waste and toxins. Comes in an easy to use convenient format that is gentle on your digestive system. Lacking in energy? Need to feel revived? 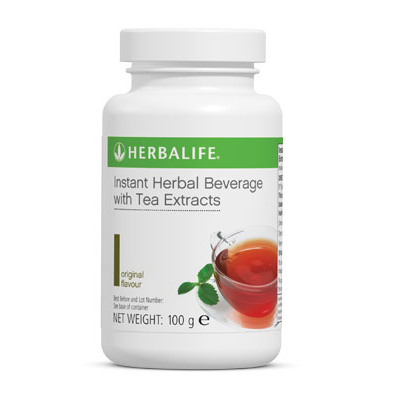 Instant Herbal Beverage can help you feel more energised and may help to maintain and improve alertness. Aid mental performance by having a refreshing drink such as Instant Herbal Beverage to help combat the vicious cycle of tiredness and leave you feeling more energised. This great tasting drink only contains around 6 calories per serving. 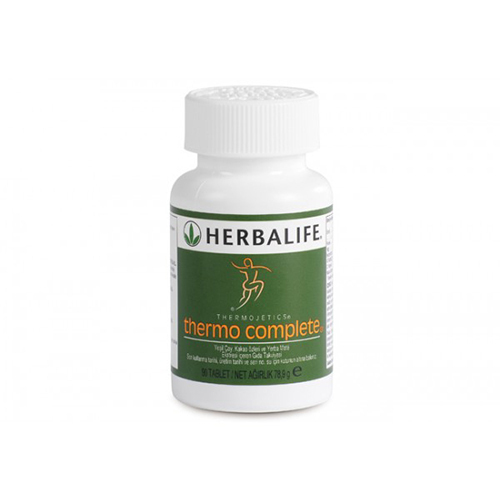 Thermo Complete is a revolutionary herbal supplement designed to support the weight management process. Thermo Complete combines a potent blend of carefully selected herbs and the individual properties of these herbs work synergistically and naturally to assist weight loss by suppressing appetite and increasing energy and metabolism. Often feel like you need extra energy or need to improve your concentration and alertness? Coffee or tea is the preferred option for many... But when there is no time for a coffee break, Thermo Complete tablets are a convenient ‘pick-me-up’. Provides a blend of caffeine from green tea, caffeine powder, yerba mate and cocoa powder. Provides caffeine to help you feel more energetic, improve concentration and alertness. Take one to two tablets twice daily, mid-morning and mid-afternoon. Click here for more info. 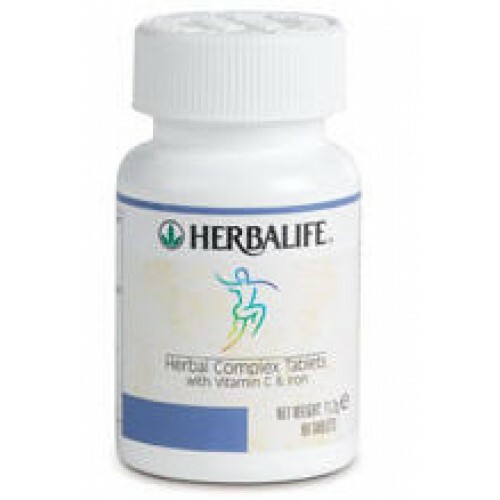 Herbal Complex Tablets with Vitamin C and Iron contains essential electrolytes designed to help regain the body’s natural water balance, to help reduce fatty tissue build-up, when used together with a balanced and varied diet, adequate water intake and regular physical activity. Contains potassium which contributes to the body’s water and electrolyte balance. Poor hydration can be caused by an unbalanced electrolyte intake. Poor hydration may in turn, trigger the body’s defence mechanism to begin storing water in fatty tissues. These tissues become plumped up with accumulated fluids and wastes. Usage: Take one tablet three times per day with meals. STOP! Don't reach for that fattening calorie laden chocolate bar. 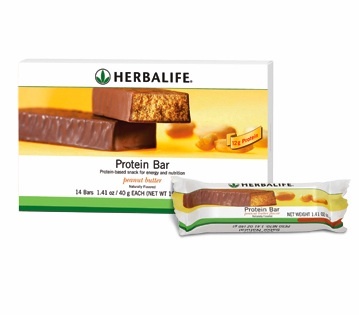 Look at the great healthy snacking options Herbalife has to offer everyone! We've got a triple treat of premium quality snack bars with our luxurious rich and flavourful Vanilla Almond, Chocolate Peanut and Citrus Lemon recipes. These bars are made with real chocolate, but contain less fat and calories. So it satisfies your sweet tooth, and gives you valuable soy protein between meals. Each pack contains 14 bars. Disclaimers: *These products are intended for use as part of an energy restricted diet and with other foodstuffs, in conjunction with regular physical activity. No medical claims of any nature are made or intended in any of the stories submitted. The experiences of the parties concerned are their own personal experiences and the results obtained are due to the body receiving complete and properly absorbed nutrition on a daily basis. No guarantee is given or implied that you will experience the same results, as this depends on your adherence to the program. All nutritional programs are used with a calorie-controlled intake. © Copyright 2015. All rights reserved by the Copyright Holder, Coronet, RSA Authorised for use in South Africa only. "The name and address of the promoter is: Herbalife International South Africa Ltd. Stand 17, Janadel Avenue, Riverview Park, Bekker Road Extension, Midrand, Gauteng, 1685, SA. The goods, which are sold under this system, are nutrition and personal care products. Transactions are effected by participants.